"Business Casual is happening. Whether it has hit your work attire on a daily basis or only Fridays, it’s time to think about variety, and how to build your casual-ish wardrobe. Here are some lovely checks to keep it interesting. Pick out a pair of chinos to go with it and you’ll be ready to face this new dress code." 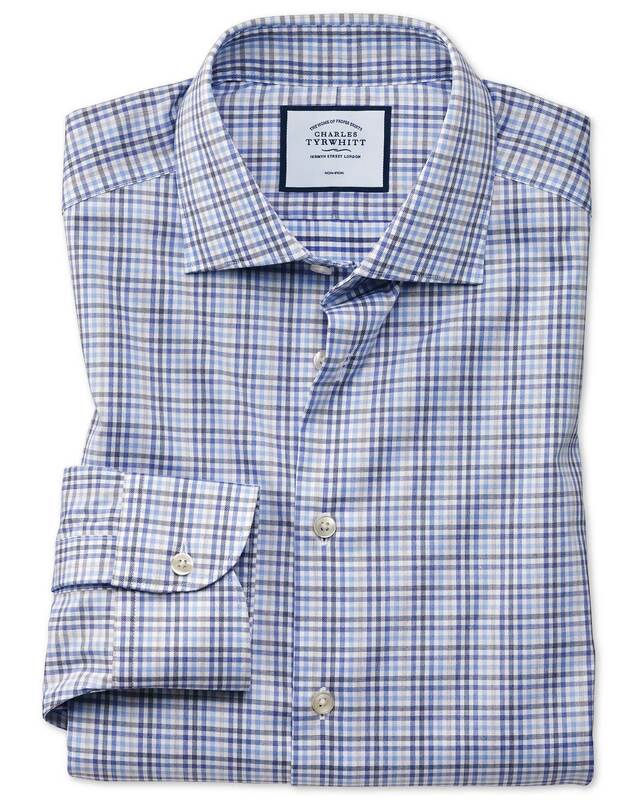 "Made from 100% non-iron cotton with a semi-spread collar, this shirt is perfect for polished dressed-down office attire." Great shirt! Very well made. Looks great! Very happy with this puchase. Other than trying them on to check how they fit, I have yet to wear one. The business casual shirts are the same outstanding quality as your dress shirts. The semi-spread collars are ideal for wearing tieless. Many of the patterns, unfortunately, are too bold and “in your face” for men over 60. I chose three, whose patterns were reasonably conservative, and would purchase more, when they are offered. The shirt sleeves were a 1/2” too long. I had to have it altered. Response from Charles Tyrwhitt: I am sorry to hear that your sleeve lengths were not quite the same. While we do have some sizing variation allowance for our shirts to account for any shrinkage this should not affect wear. Please do feel free to contact our Customer Service Team should there ever be any issues with any of your purchases so that we can always look into this further for you.